Panhard & Levassor was one of the oldest car manufacturers in the world. They started car production in 1891. Before WWII Panhard was well known for its large luxurious cars. After WWII it became obvious that there was little market for these expensive cars, and Panhard switched to building smaller, more modestly-priced vehicles. These cars were called the Dyna – with Dyna X being a small sedan, and the Dyna Junior a 2-seater sports car. Mechanical layout was similar – a 652cc, 2 cylinder, air-cooled engine with front-wheel drive. Performance was modest. Dyna Junior car production ended in 1956, and the Dyna X morphed into the PL 17, having a slightly larger engine and body than its predecessor. 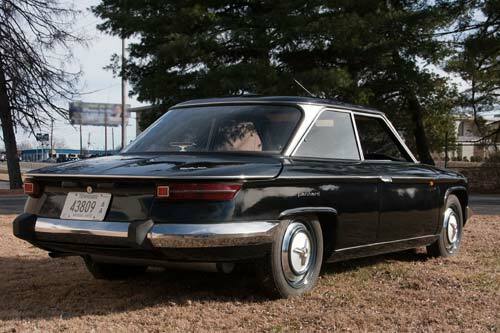 In 1963 Louis Bionier designed the crisp-lined 2 plus 2 body called the PL 24 coupe. The name was soon changed to 24BT, and production began in 1963 using the same mechanical components as the PL 17. Initially, production was slow but picked up in 1964. 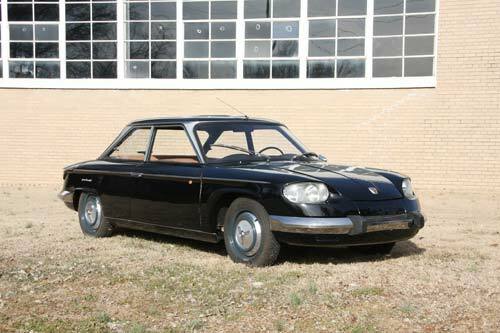 Sales, though, were modest, and by 1965 the Panhard car business was failing. 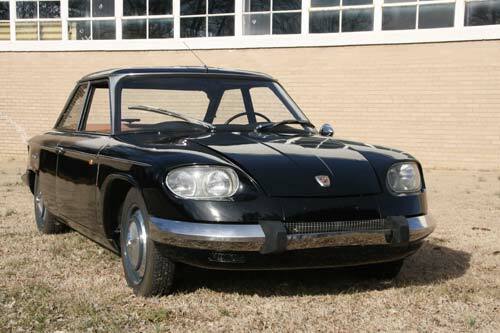 Taken over by Citroën in 1965, it was the end of the line for Panhard automobiles as Citroën did not want to build a car that competed with the Citroën GSA. Panhard car sales ceased in 1967. Panhard also made armored cars for the military, and production of these cars continued until 2005.